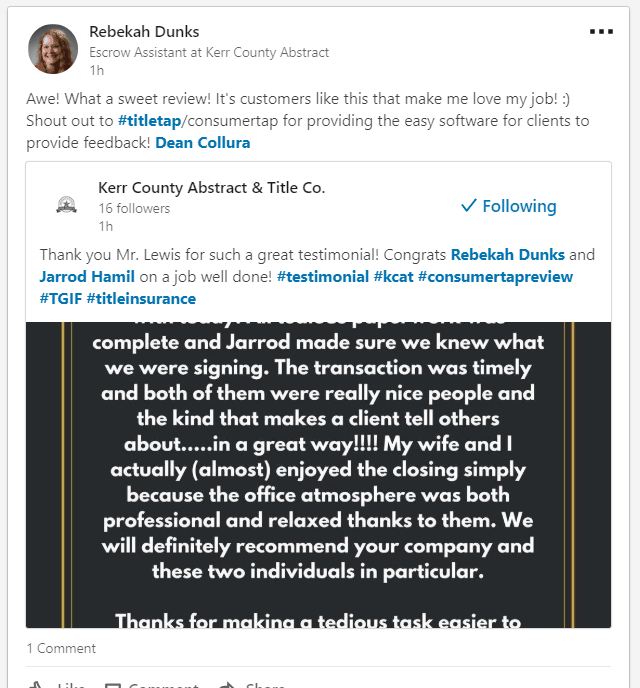 Want a way to get more online reviews from your clients and customers? 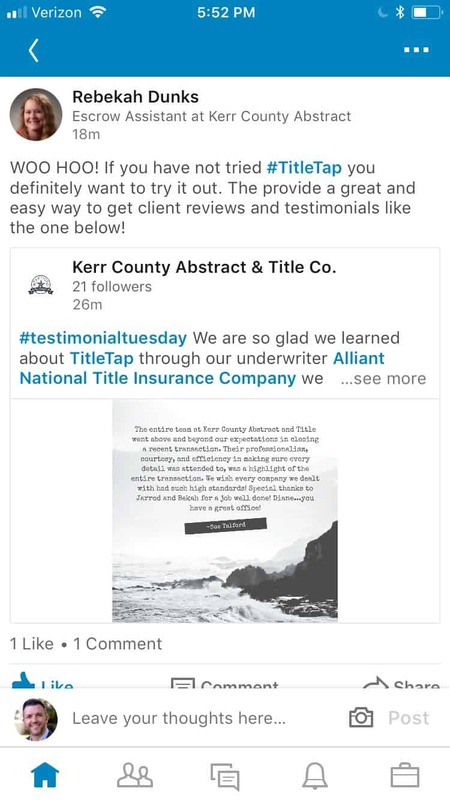 Check out this review that mentions our product that can help you get more 5 star ratings on Facebook and Google! 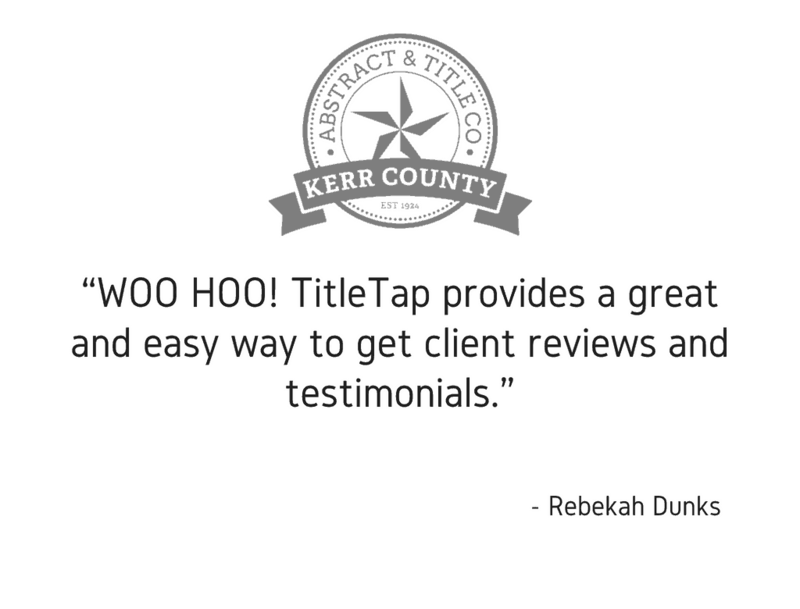 Thanks Rebekah Dunks at Kerr County Abstract for shouting us out!